Yay for veggies! What better veggie to celebrate the summer harvest than zucchini? This super simple salad is a snap to make and the perfect cool side dish on a hot day. 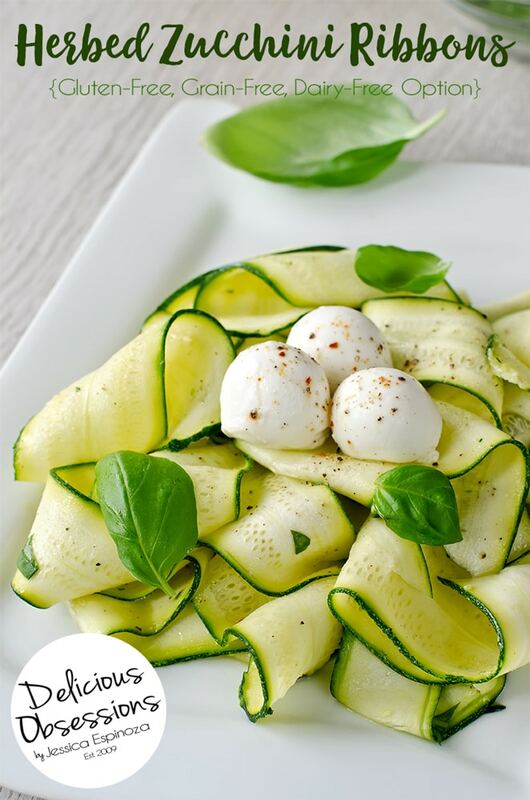 Thin zucchini ribbons complemented by a zesty dressing that the whole family will love. This easy salad pairs with just about anything and I am confident that you’ll love it as much as I do! Zucchini is one of those vegetables that is SUPER easy to grow and will yield big returns, even in a small space. It’s a great vegetable to add to your summer garden and can be used in a variety of ways both cooked and raw. I have some more recipe ideas for you below. I have fond memories of my previous job where one of my co-workers would always bring me zucchini from his garden. These zucchinis were HUGE! They can grow into a monstrous veggie if you let them. One plant is often all you need to get your summer fill. In addition, they are a great source of vital antioxidants, like vitamin C, which helps with inflammation and cellular function. Summer squash also contains high levels of lutein and zeaxanthin, both of which help with eye health. That’s why I love sharing recipes like this (and all the other veggie recipes on this site) and also why I created my popular Eat the Rainbow eCourse. Most people know that vegetables are heath-packed powerhouses, but they simply do not feel they have the knowledge, time, or the ability to add more to their diet. I want to help change that and make eating vegetables easier and a heck of a lot more fun! In the Eat the Rainbow eCourse, I show you how to do exactly that (and a ton more). 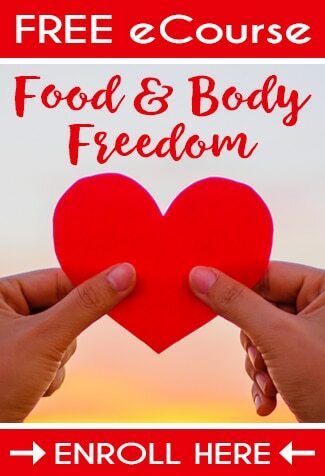 This 30-day eCourse arms you with the skills and creativity you need to make vegetables a centerpiece in your diet — all in bite-sized nuggets that won’t overwhelm or frustrate you. In order to really get the full spectrum of phytonutrients and antioxidants that vegetables provide, you need to eat a wide variety of types and colors (i.e. the rainbow), but so many people find themselves eating the same four or five veggies over and over and over again. 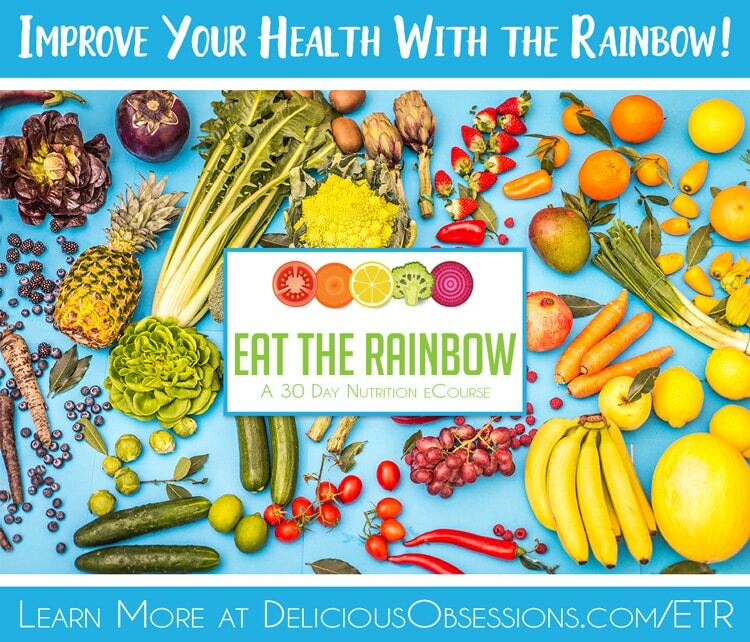 For a limited time, I am running a special on my Eat the Rainbow eCourse where you can enroll for 50% off. 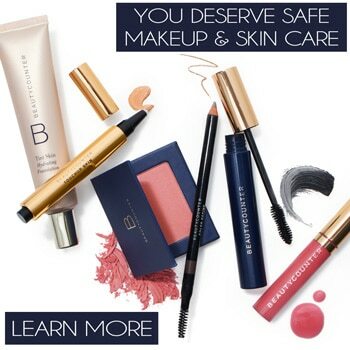 That means you can get a full 30 days of content + a bonus cookbook for only $10. This is a steal for one of the most important investments you can make for your health (eating more veggies). Enroll in the Eat the Rainbow eCourse here (or click the image below) and enter coupon code VEGGIE at checkout to save 50%. I can’t wait to see you in the course and hear how your health improves once you start eating the rainbow! Now, on to today’s recipe! Grilled chicken breast/thigh, mild fish (like cod), or even grilled steak will make this a deliciously filling full meal! To make zucchini ribbons, cut tip and stem ends from zucchini. Using a vegetable peeler, begin at the stem end and make continuous ribbons down the length of each zucchini. Place a steamer basket in a large saucepan. Add 1 inch of water (water should not touch the bottom of basket). Place zucchini ribbons in a steamer basket. Cover and bring to a boil over high heat. When pan begins to steam, check zucchini for doneness. It should be tender-crisp. You don’t want to overcook these or they get super mushy. Remove from heat and transfer zucchini to a serving dish. Whisk oil, vinegar, basil, pepper flakes, coriander, salt, and pepper in a small bowl until well blended. Pour dressing over zucchini and toss gently to coat. Serve immediately or refrigerate up to 2 days.